As the International Healthcare Innovation Professor at Harvard Medical School, I travel 400,000 miles each year, studying the social, cultural, political, economic, and technological aspects of healthcare delivery throughout the world. In the past year, I visited 14 countries. Every society has unique strengths, weaknesses, opportunities, and threats. However, healthcare challenges are very similar around the globe. In my view, Japan will emerge as the leading learning laboratory for digital health innovation, providing the world with technology and policy lessons learned. In most countries, societies are aging. Japan, Sweden, Germany, Italy, and the U.S. have or will soon have more than 25 percent of their populations over the age of 65. At the same time that the population is aging and consuming more healthcare, birth rates are falling such that there will be fewer young workers paying for the care of the aging. And to make matters worse, medical schools are not graduating enough general practioners (also called primary caregivers) to meet the rising demand for care management. Although some societies have managed healthcare costs well in the past, the aging society/falling birth rate/shortage of clinicians problem will lead to unsustainable medical costs and decreasing economic competitiveness. In effect, we're mortgaging the future of our children by committing to medical costs we cannot afford using existing healthcare delivery models. Not only are we spending too much, we're not achieving consistent quality/safety. Rural areas throughout the world have substantially less access to experts to deliver the right care in the right setting at the right cost. What is the solution? We must change the care delivery model to address the needs of an aging society. The tactics we have in our toolbox in 2019 include machine learning on big data, internet of things for home health care, telemedicine, mobile apps, and learning laboratories. Japan is uniquely suited as the place to deploy these first and inform the rest of the world. John Kotter at Harvard Business School teaches us that any change requires a sense of urgency, visionary leadership, and a guiding coalition of supporters. Japan has all three. The average life expectancy in Japan is 86.8 years for women and 80.5 for men, significantly longer than comparable industrialized societies. In 2019, more than 25% of Japanese are over 65. The super aging society requires immediate action. The government of Japan has demonstrated visionary leadership with new policy initiatives including the Next Generation Medical Foundation Law, which became effective on May 11, 2018. It enables that healthcare providers submit clinical data to a repository, which centrally anonymizes the data and makes it available to authorized data processors certified to protect privacy and use data appropriately. Consent is opt-out, so data will be accumulated rapidly while still respecting patient data collection preferences. I have visited Japan 35 times over the past decade and have worked extensively with academic, industry and government. I'm especially close to the faculty of the Kyoto University and data exchange pilots in the Kansai region. I have also worked with Fujitsu Research and met with the leadership of the Ministry of Economy, Trade and Industry. From experience, I know there is a guiding coalition across all stakeholders supporting digital health as the best strategy to meet the challenges of an aging society. But is Japan ready to deploy the emerging technologies and economic incentives that will make this happen? The answer is emphatically yes. Let's examine the digital health technologies emerging throughout the world and the preparation Japan has made to offer the ultimate learning laboratory. As described above, the Next Generation Medical Foundation law creates the curated national dataset needed for building machine learning models at scale. But there is more. Japan has implemented the My Number System for consolidating individual experiences in many facets of life – financial, social, and healthcare. The U.S. still lacks any kind of identifier to bring together a lifetime health record from outpatient, inpatient, emergency, rehabilitation, and nursing home care. Building accurate machine learning models requires consolidated healthcare experience from all sites of care over a lifetime. Japan can do this. Technology for patient matching, adoption of modern standards, and policy enablers to grant authorized access to population-level data is a magic combination found nowhere else in the world at the scale of the Japanese population. Japan has long been a leader in micro-electronics, so it's no surprise that Japanese companies are hard at work outfitting patients and their homes with sensors. Although Japan has the most sophisticated transit systems in the world (I wish Boston had a Yamanote line), traveling to clinicians is still challenging. Many elders live alone in Japan, so it's very important to deploy the technologies and services needed so for seniors to stay healthy in their homes instead of having to travel to distant clinics. I've personally worked with Japanese companies for the past decade to develop these ideas. At Harvard, I am one of the few clinicians credentialed and malpractice-insured to offer telemedicine consultation across the United States. My area of expertise is toxicology and I treat 900 patients remotely per year. The major impediment to telemedicine in the U.S. is not the technology, but reimbursement and policy, since states control medical licensure, not the federal government. Japan has addressed the challenges of telemedicine by enabling remote visits and paying for them. The 125 million people of Japan, supported by enabling policies and government vision, encourage innovative companies and entrepreneurs from around the world to collaborate with Japanese experts to define novel products and services that support aging societies, reducing costs and improving quality. I'm often asked where in the world I would live and work based on my life experience if I could be a citizen anywhere. The answer is Japan with its unique sense of urgency, extraordinary people, and supportive government. I would encourage companies to think about Japan as their next site of product development, pilots, and investment. I plan to be in Japan once a quarter in 2019 to move these initiatives forward. I encourage you to join me. 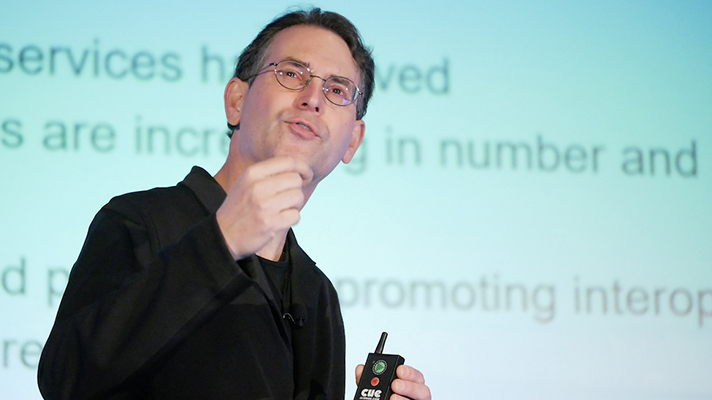 Dr. John Halamka is the Internation Healthcare Innovation Professor at Harvard Medical School and Executive Director of the Health Technology Exploration Center at Beth Israel Deaconess Medical Center.